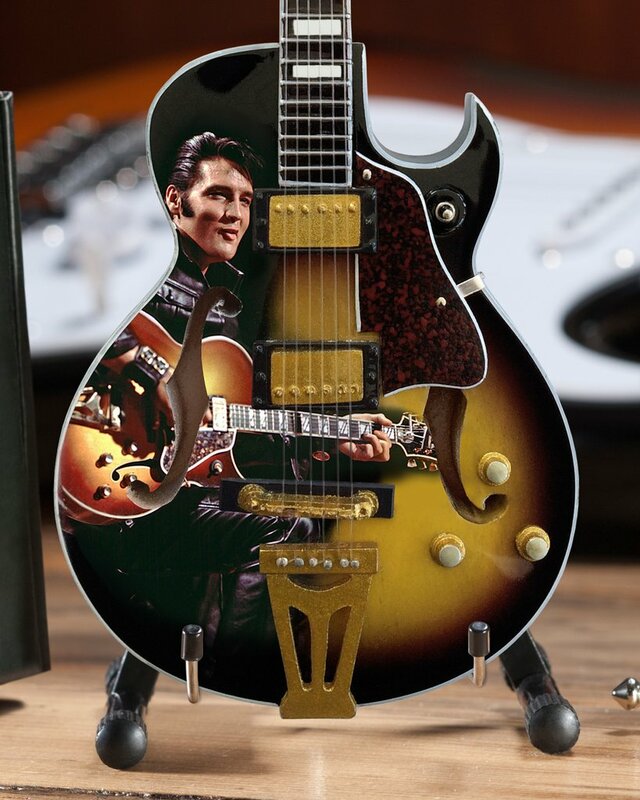 He may not have been the first rocker, but Elvis Presley took Rock ‘n Roll from a threatening sound of unruly teenagers to a globally accepted form of popular music. 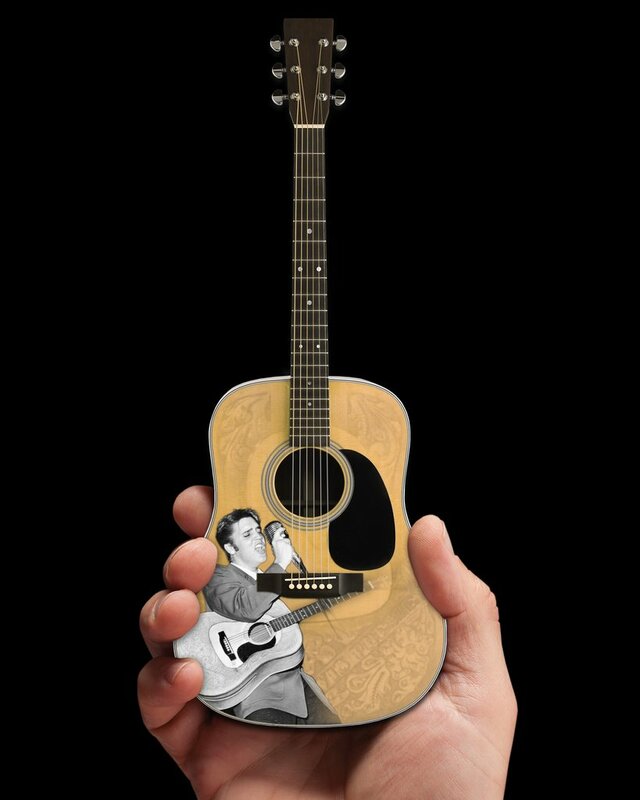 His impact on music and popular culture cannot be overstated. 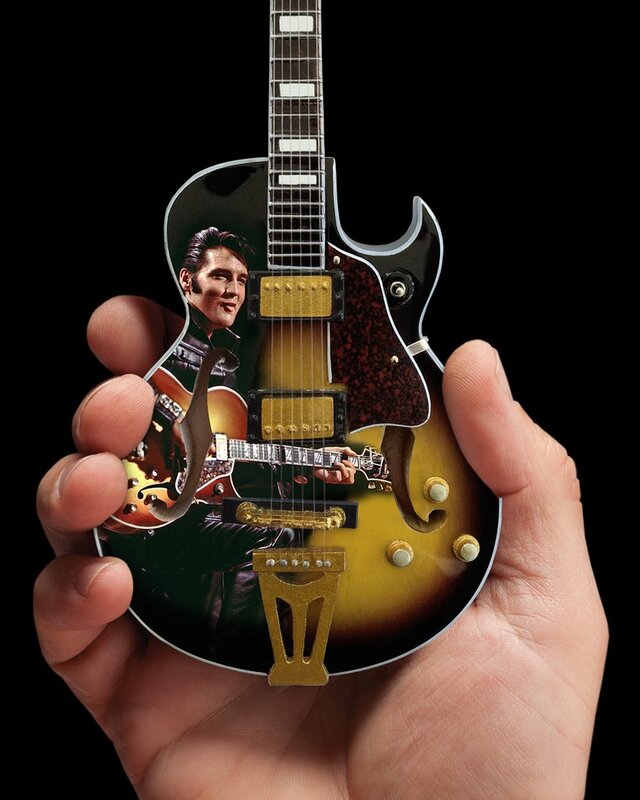 He was, is, and will always be the King. 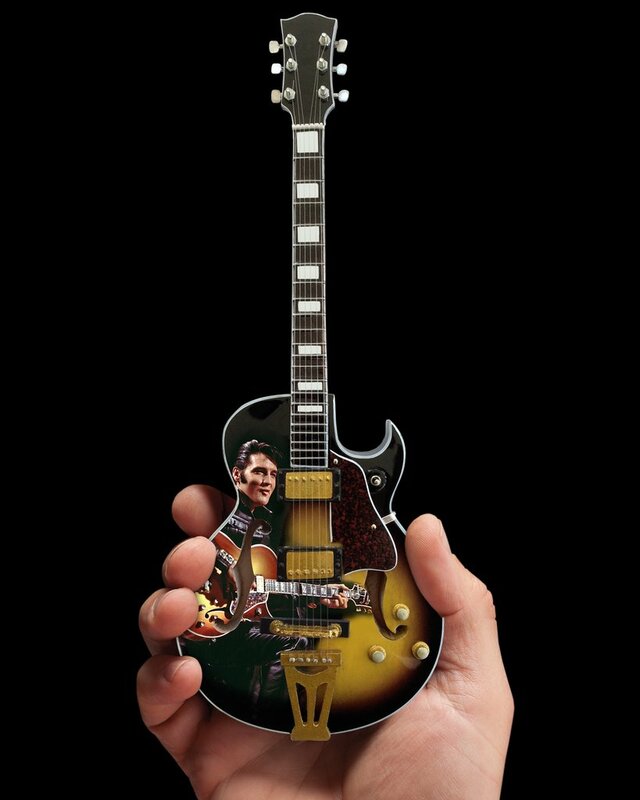 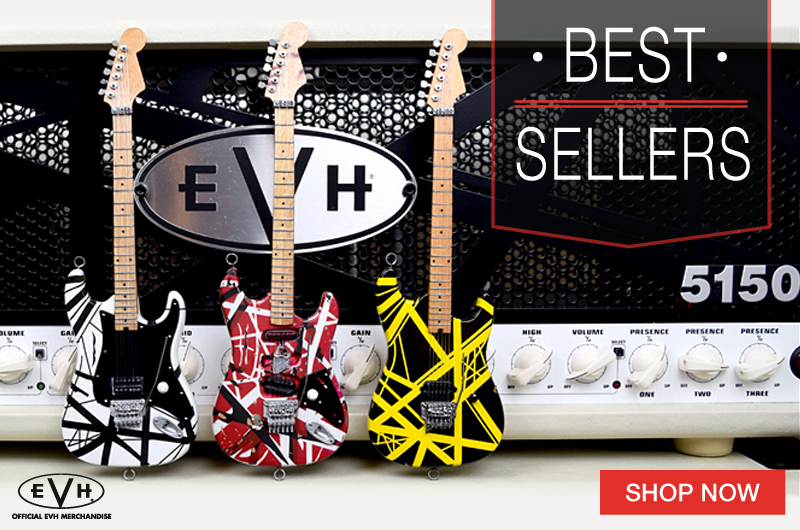 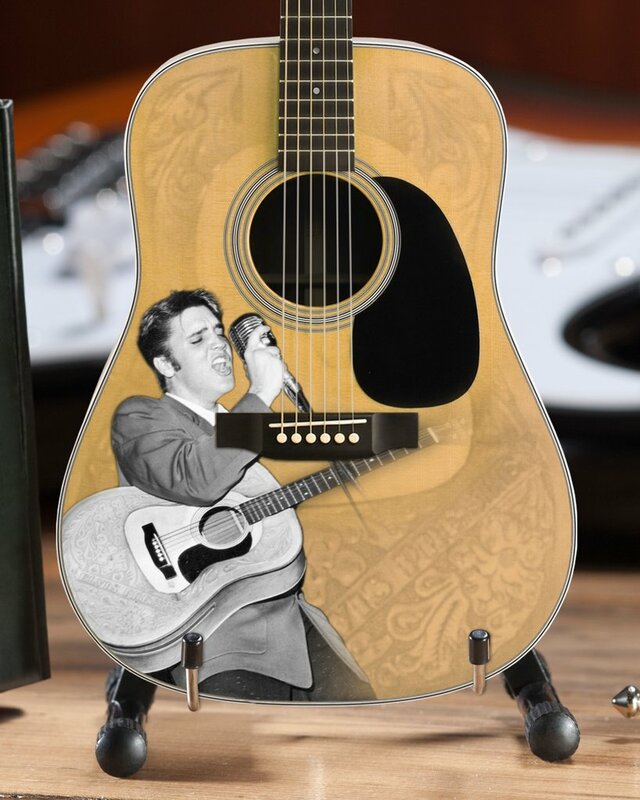 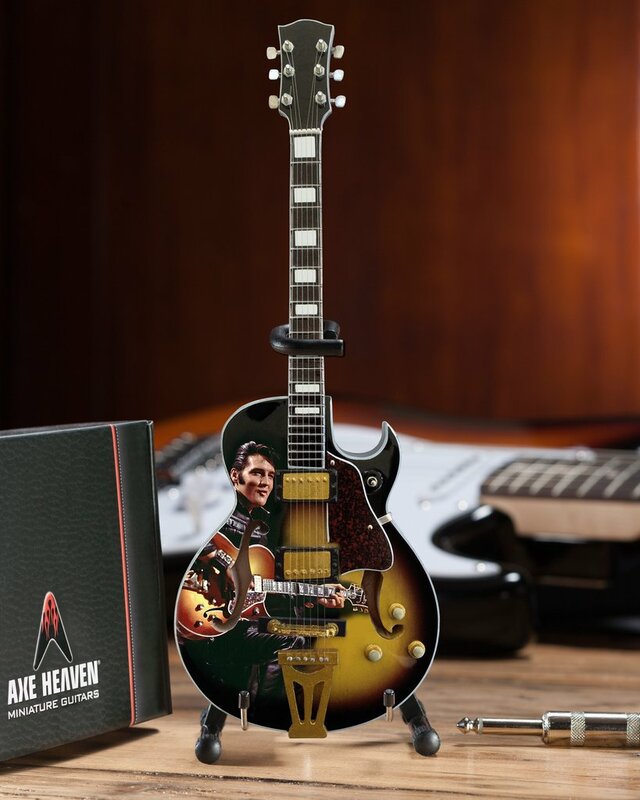 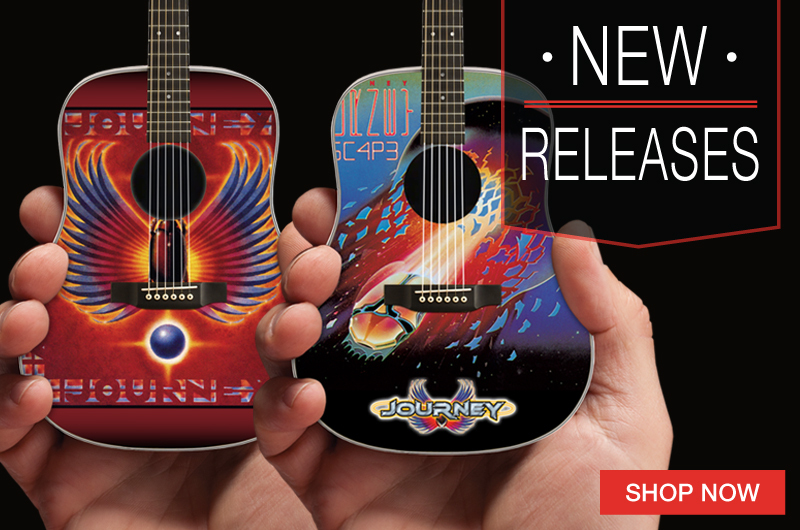 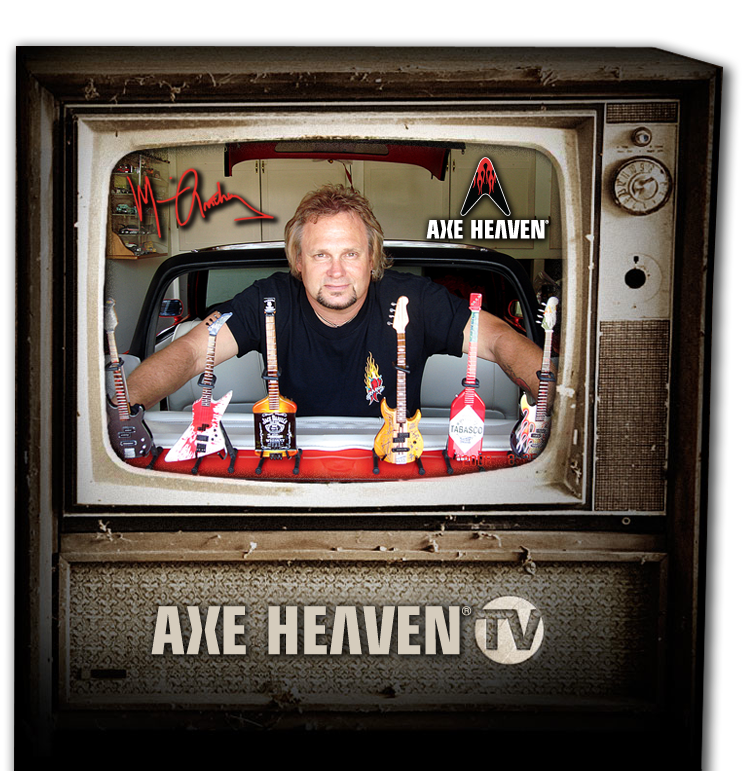 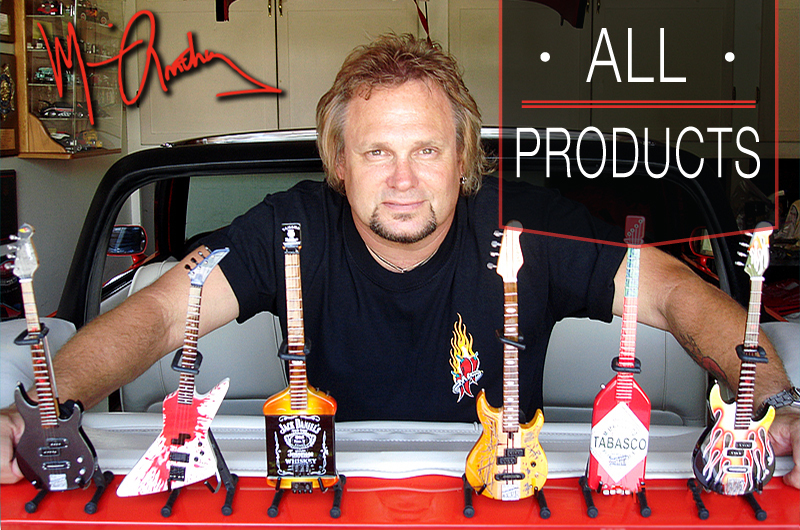 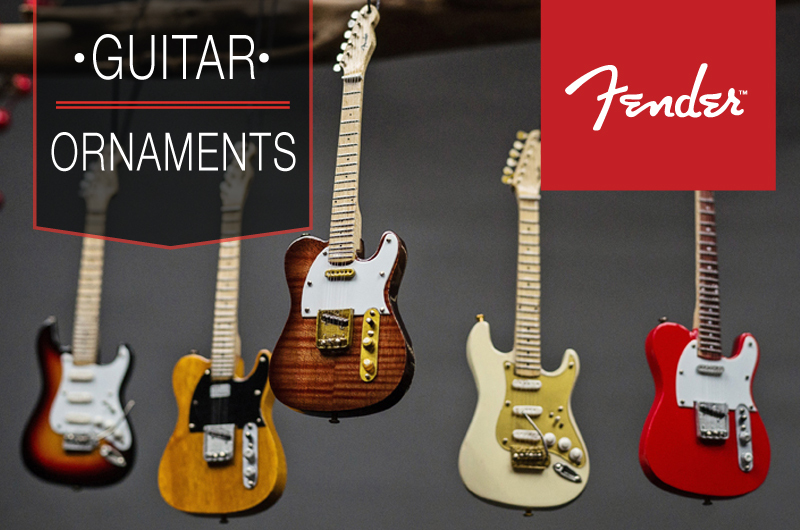 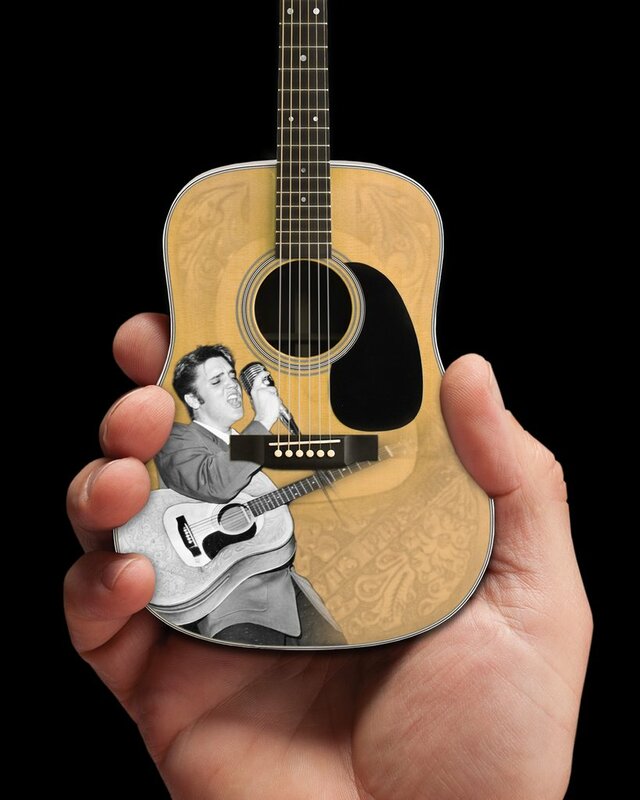 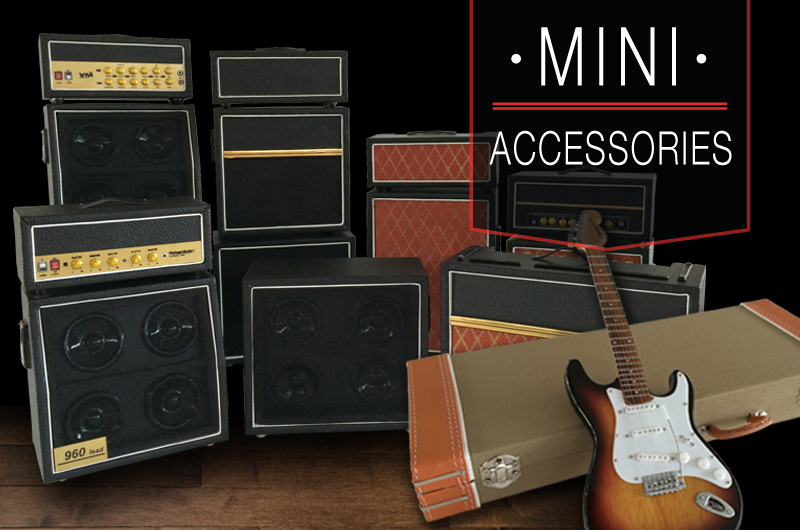 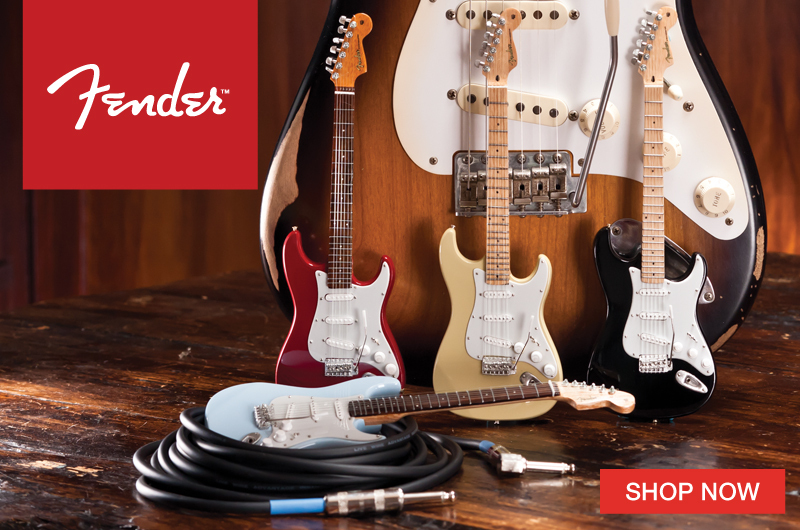 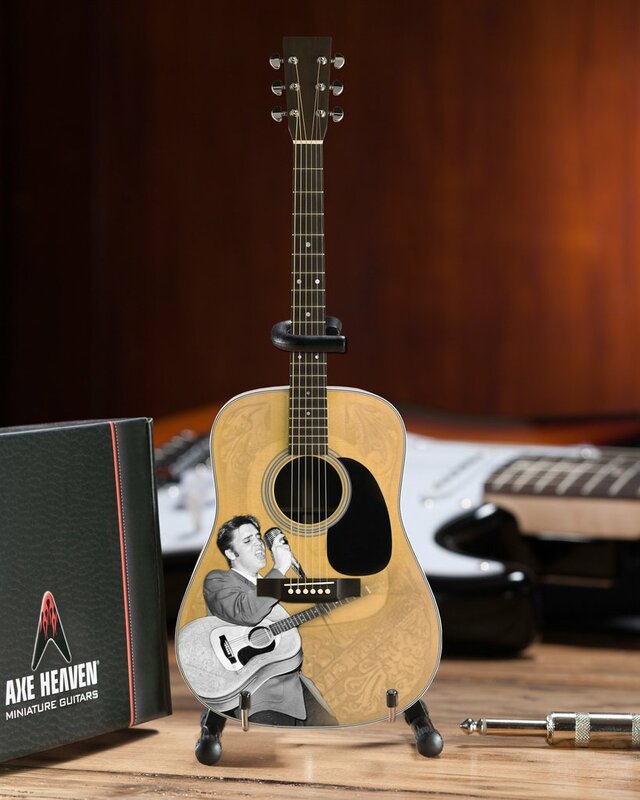 You can display a little piece of Elvis’ enormous legacy with AXE HEAVEN® Officially Licensed Elvis Presley Tribute Mini Guitars.